Sulfur — yes, that smelly, yellow substance — is a chemical element that exists in many forms. Though many don’t realize it, sulfur is a key ingredient in skincare products and can be used to treat a variety of conditions and symptoms. A natural, nonmetallic chemical element found near volcanic areas, sulfur was officially discovered as a periodic table element in the early 1800s. It is essential to all living beings: plants and algae pull sulfate from soil or seawater, it’s used to make several amino acids necessary to create proteins, is used in many co-enzymes, and most humans have at least 140 grams of sulfur in their bodies. We consume sulfur regularly in our diet, usually within dairy, eggs, meats, fish, garlic, onions and beans. Though they smell terrible, sulfur and sulfate are nontoxic. Sulfur dioxide, carbon disulfide, and hydrogen sulfide, however, are all toxic, particularly the latter, which can cause death. 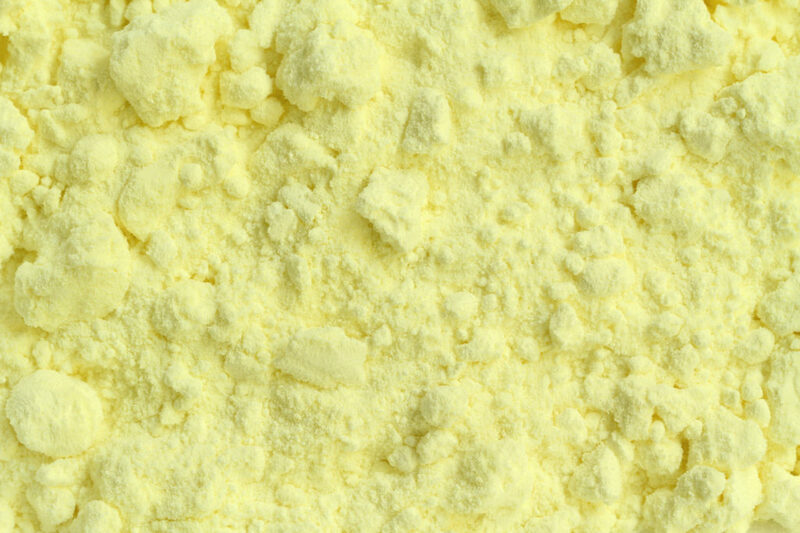 In various forms, sulfur is used as an additive to gas, as a food preservative, as a paper bleach, and to produce black rubber, black gunpowder, phosphates, fertilizers, silver polish, pesticides, and herbicides. What makes sulfur such a powerful skincare ingredient? Sulfur’s presence stops the growth of bacteria on the skin’s surface and can help exfoliate and shed dead skin cells. It’s great for drying out active blemishes without significantly dehydrating or irritating the surrounding skin. It’s also great at controlling oil production and encouraging your skin to naturally exfoliate itself. What kind of products might have sulfur in them? Sulfur is an ideal ingredient to treat acne, and it’s renowned for being an ingredient that’s great for acne prone, yet sensitive skin. It can be a replacement in your routine for more intensive acne-fighting ingredients, such as benzoyl peroxide. 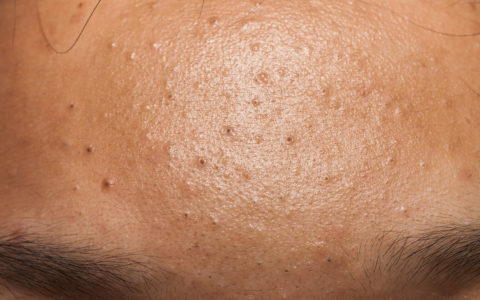 In addition to combating acne, Sulfur can also treat eczema, seborrheic dermatitis, dandruff, rosacea, psoriasis, warts, pityriasis versicolor (skin discoloration), hair-follicle infections, and shingles. Balneotherapy — soaking in a mineral-infused mud bath that contains sulfur — can be soothing for those suffering from eczema or psoriasis. What forms is sulfur available in? Usually found in topical skincare creams, gels, cleansers, and ointments, sulfur is included in hundreds of acne products. It’s also sold under a myriad of brand names, including Acnotex, Fostril, Rezamid, and Sulforcin. Another form of the substance, sulfacetamide, is used topically within Clarifoam, Plexion, Rosanil, Rosula, and Sulfacet-R. Looking for a great over the counter sulfur product? SLMD Skincare has a new Blemish Cream that’s sulfur-based and easy to incorporate into any skincare routine! What if you have an allergy to sulfa which is in medicine? Can you use sulfur if you have a sulfa allergy. It’s a severe allergy.